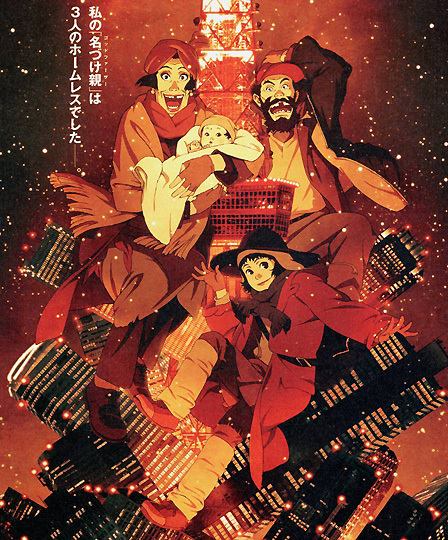 Directed by one of today's best and freshest Japanese animation film directors, Satoshi Kon, who previously directed "Perfect Blue" (1997), and "Millennium Actress" (2002). This heart-warming story is set in Tokyo during the Christmas season; three homeless people - a former bicycle racer, drag queen and a runaway teenage girl, find a baby girl in a dumpster. They decide to look for her mother.